I have plums. My plum trees are currently maturing like crazy. My mother has this fruit steamer system that you can make cordial in. 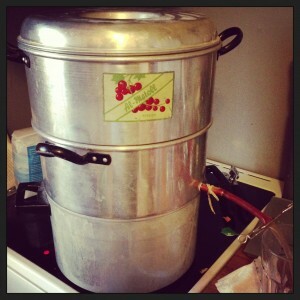 Essentially, a pot of water (#1) at the bottom, a pot to collect the cordial in (#2) and one meshed pot to have on top for the berries/fruit to start out in (#3) – from which they will drain to #2 as they get steamed. I used the list of ingredients from this recipe from Australian Gourmet Traveller as my basis ( I had 3.4 kg plums with the stones still in them, so I multiplied to match the ratios). Since I have the steamer system, I added everything into the steamer straight away. 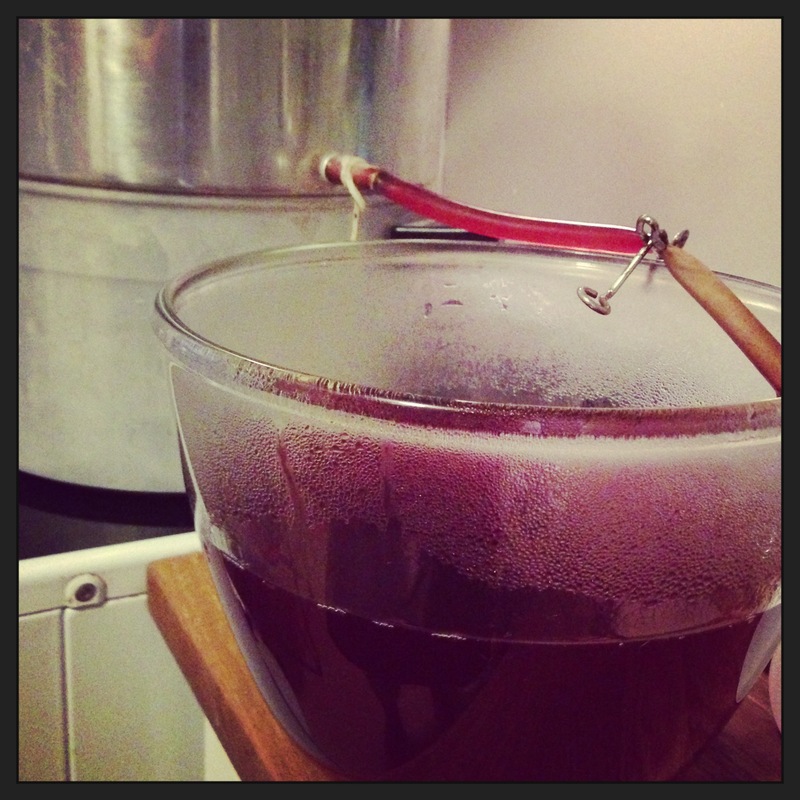 I also included the vanilla pods with the plums, to infuse it even further. I found this recipe to be a bit more interesting in terms of final taste than if I’d just added plums and sugar to the mix. Drawing blood for tests gone wrong.